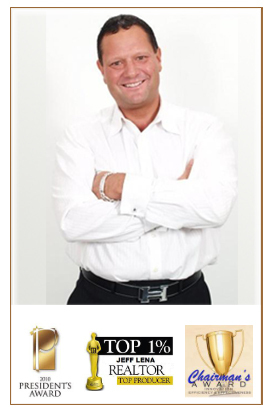 Jeff Lena Florida Real Estate Buyer's Broker has 30 years of experience in real estate. We are able to spot anything that could be cause for concern in a home. We work hard to pinpoint your needs in a home and to find a price that is reasonable. Letting go of your home can be a tough choice to make. Our team makes the process smooth with our vast connections in marketing and networking. Let us handle all the negotiations on the selling price so you can make money from your investment. Receive a free market analysis when we evaluate your property. Since 1985, Jeff Lena Florida Real Estate Buyer's Broker has been a premier real estate team in Fort Lauderdale, Florida. We provide a full range of real estate services — helping buyers, sellers, and investors. The world of real estate can be frustrating for those who do not understand it or are in great need to buy or sell. Our team makes this complicated world simpler to understand. Our company is a part of the Florida Board of Realtors™ and has won awards for our services. We won the President's Award from the Keyes Company in February 2010. We also took home the Chairman's Award from the Keyes Company and Top Producer in 2011/2012/2013/2014/2015/2016/2017/2018. From amazing homes and new apartments to commercial land development, our real estate brokers are able to handle any transaction. Our company is built on a strong foundation of honesty, trust, and integrity. We have our hand on the pulse of the South Florida region's real estate market. Mission Statement: Jeff's TEAM is dedicated to providing the most effective and knowledgeable real estate services, listening to our clients' needs, and exceeding all expectations.